Edit appearance and text of the add to wishlist button and favorites wishlist page. You may customize the text, icon, appearance and behavior of the app's "Add to Wishlist" link. While the color and style will adapt to your shop theme by default, you also have the option to manually override these settings. You have a few choices in button icon (or no icon) as well. A heart icon is the default. Use the color pickers to change the icon colors both before and after adding a product to a wishlist. You can also change button text size (9 to 24px) and add a CSS class to match your theme’s default button style. Button changes are previewed at the top of the preferences page. To be sure you are happy with your changes, save your preferences and take a look at a product page in your shop to see the button in action. Favorites Wishlist page – where shoppers view items they've added to their list. Default list title: what the wishlist title will be by default. Shoppers can rename their lists. Allow customer notes: let shoppers add a note to their list and each product. 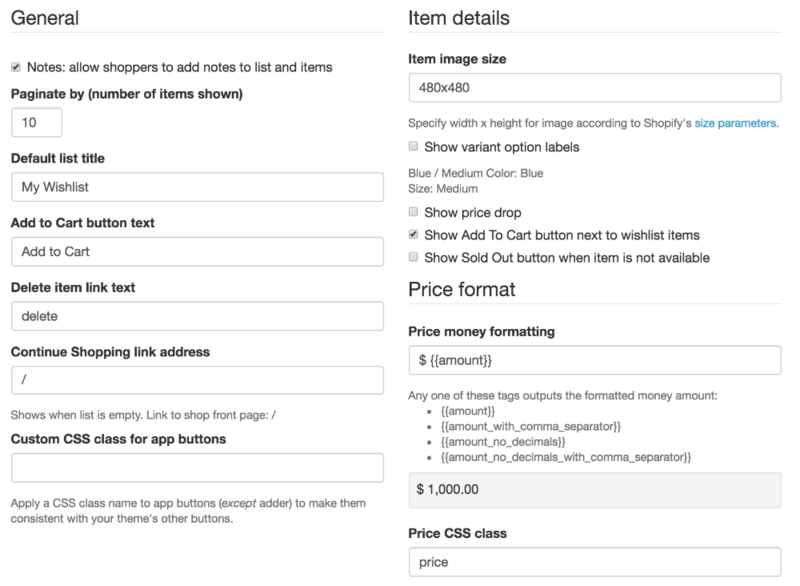 Price money formatting: is set to be same as your shop's setting when app is first installed. 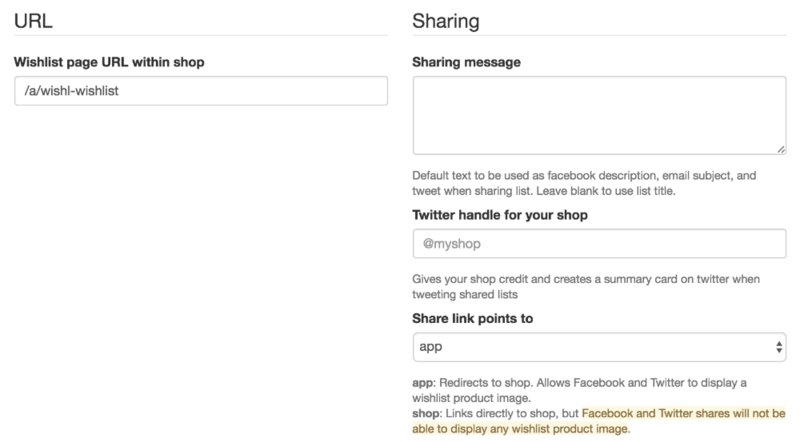 Wishlist page URL within shop: if you change the app's wishlist page url, please follow instructions for editing the App Proxy URL to match. When using a custom shop page to display wishlists, the URL here must match the custom page's URL, but there's no need to edit the proxy.